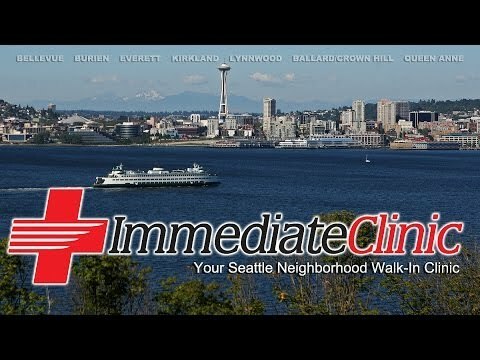 Kirkland urgent care is open 365 days a year, 8am-8pm thanks to the Rose Hill Immediate Clinic. We know life is busy, so we're available when you need it. We offer appointment scheduling for those who have tight windows to be seen, but offer the ability to walk into our medical clinic anytime you are sick or injured. Our goal is to help bridge the gap between your family doctor and the local emergency room. We have doctors, digital X-Ray and Lab equipment to ensure you get quick an reliable treatment. Our clinics are designed to meet a wide variety of healthcare needs including; ear infections, strep throat, urinary tract infections, sutures, X-Ray, skin rashes, flu shots, travel vaccinations, sports physicals, DOT Testing, STD Testing and tons more. With our trained medical staff we have the ability to help with almost any NON life threatening injury.